Loa Mae Mecham Elledge was born April 18, 1926 to William LeRoy Mecham and Grace Adeline Dye Mecham in Pocatello, Idaho. 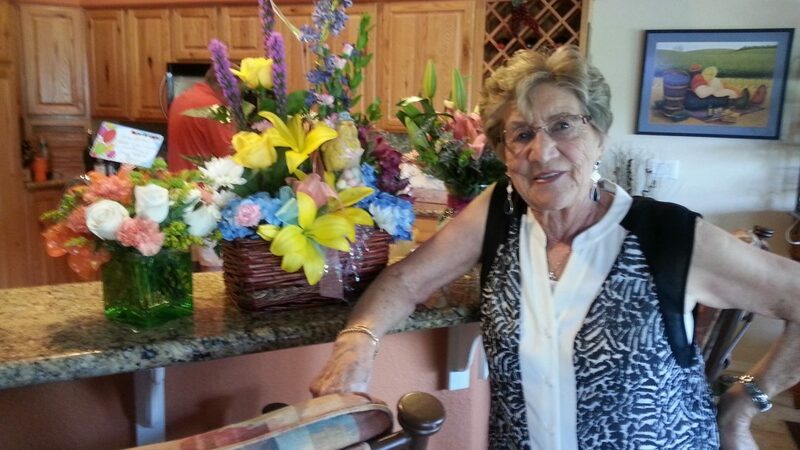 She passed away peacefully, surrounded by family, the early morning of May 9th. Loa grew up in Pocatello as the baby of four, with her brothers Delbert and Clois, and sister Edith. She attended Pocatello High School and worked at Bistline’s Lumber and First Security Bank. She met and fell in love with her husband of 72 years, Walter Waldo Elledge. They shared a lot of love and life experiences including dancing, golf, travel and family. They had four children – Marilynn, LaRae, Brent and Shannon. While working at First Security Bank, Loa also did the books for their family business, Art’s Cleaners in Pocatello. In 1969, Loa and Walt moved to Boise and bought Baird’s Dry Cleaners. They worked long hours together to build their business and provide for their family. They were long time members of the Plantation Country Club and had a lot of great friends over the years. They enjoyed travelling and spent a lot of time in their motorhome, and eventually built their dream home on Chaparral Golf Course and lived part time in Bullhead City, Arizona. In addition to living in Boise and Bullhead, they had a cabin in Cascade where they shared many special experiences – including boating, snowmobiling and four wheeling – with their children and grandchildren. Family was very important to Loa. 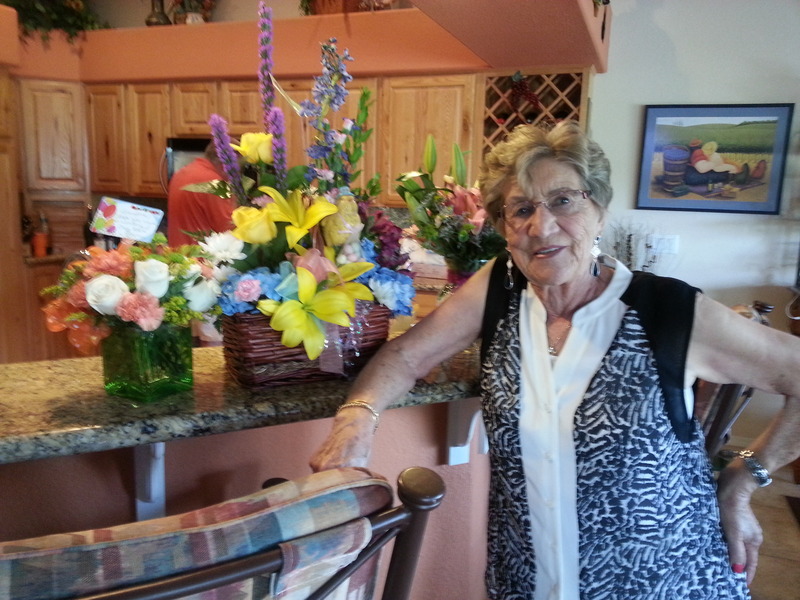 Her last years were spent living in Boise near her daughters on the Boise Ranch Golf Course. Loa also enjoyed reading, playing cards and doing cross-word puzzles. Loa was preceded in death by her father, mother, brothers Clois and Delbert, sister in law and best friend June Mecham, brothers in law Fred, Larry and Paul Elledge, and her son in law Carl Stone. She is survived by her loyal and loving husband, Walter; her sister Edith; her four children, Marilynn Kay Elledge Swallow (Barth), LaRae Elledge Stone (Carl), Walter Brent Elledge (Judi Miller), and Shannon RaNae Elledge; her ten grandchildren and 23 great grandchildren; and many loved nieces and nephews. Services will be held on Thursday, May 17, 2018 at 11 a.m. at Bella Vida Funeral Home, 9661 W. Chinden Blvd, Boise, Idaho. I was so sadden to hear of Loa’s Passing. She was a great person and we will miss her! My deepest sympathy to the family for your loss. May the “…God of all comfort…” be with you during this sad time. I am so sorry to hear about Loa. I had a place next to her and Walt in Cascade and loved them both. Had great times playing golf against her and Norma Doty at the Gardner memorial. Quite the gambler she was at the calcutta at Cascade golf course. Missed seeing both Loa and Walt, they always put a smile on my face. I loved being with Loa, enjojying a glass of wine with her on many occasions, RVing and just sitting on Barth and Marilynn’s patio. I know how much she was loved and will miss her very much. So sorry to hear this news. I was an employee with Bairds and the one thing I always admired about her was her strong work ethic.She built a legacy that was able to provide for generations. She was always very nice to me. It spoke volumes to me that when she would come visit the company that she would always come and talk with me and always wanted to be sure that I enjoyed working in her business. My love and prayers goes out to the family. She will be missed.